As an Acupuncturist, you’ll produce various kinds of waste classified as hazardous or potentially infectious, including needles, used swabs and dressings. Failing to follow waste regulations could pose serious health risks and lead to fines. Avoid the hassle with our affordable service plans, which we’ll tailor to fit the needs of your business. Our services aren’t just cost-effective, they’re highly comprehensive too: get all the correct bins, flexible collections and legal documents – without any surcharges! So what are you waiting for? Let us protect your business and get a free quote today. No matter how much waste you have, we’ll provide you with as many reliable waste receptacles as you need to ensure that your business is compliant with UK waste regulations. For more information about our acupuncture waste management services or the legal requirements for responsible waste disposal, look at the other tabs on this page or give us a call for a free quote today. Since the government published the 2005 Hazardous Waste Regulations, all clinical waste sharps produced by acupuncture therapists must be disposed of within secure and correctly marked receptacles by law. 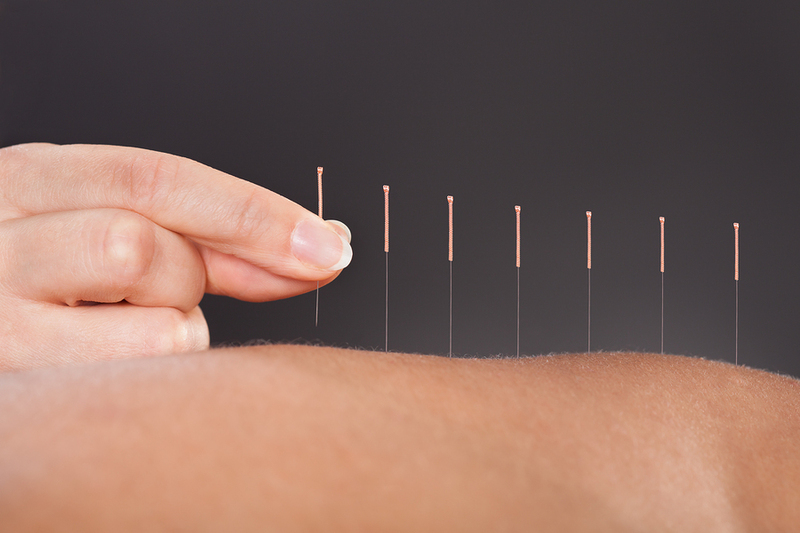 Like any medical needle, the sharp implements used in Acupuncture therapy can cause damage to the environment or could pose a serious health risk to customers or staff if they are not disposed of properly. UK Waste Regulations state that sharps like those used in acupuncture therapy must be disposed of in a BS7320, United Nations Standard 3291 container displaying a European Waste Catalogue (EWC) Code. If your business fails to dispose of hazardous waste in accordance with UK law then you could put your customers at risk and even face fines of up to £5000. Keep your business protected, use our acupuncture waste collection service to ensure that your waste is handled responsibly and in full compliance with UK law. As acupuncture clinics produce significant amounts of clinical waste, they are required by law to act with a duty of care when disposing of that waste. The core principles of the duty of care include segregating hazardous or potentially infectious waste from general waste, and ensuring that hazardous waste is provided to a responsible, professional waste carrier for disposal. As well as following the duty of care, businesses are legally required to sign consignment notes every collection of hazardous waste complete with an Environmental Agency registration number and full details of what is being collected. Use our service and we will provide the legally required consignment notes and help get you registered with the Environmental Agency. Use our acupuncture needle disposal and waste management services and we will provide all of the paperwork to legally dispose of your waste. Our mission is to support businesses in every way that we can, and that means more than just offering our expert waste collection services. With years of experience in the industry, we also have a wealth of expertise and knowledge to share with businesses.